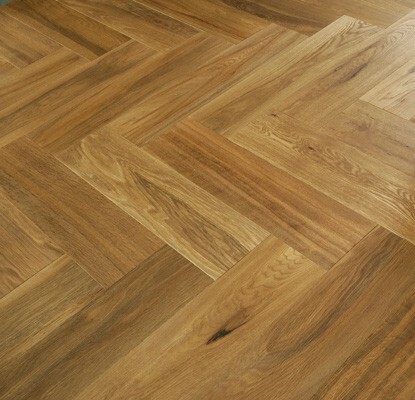 Beautiful solid unfinished Oak parquet flooring, 21mm thickness, boards are 65mm wide x 450mm long as standard but as everything is made to order on site in our factory we can tailor to any specification you require. Any questions please call the office and a member of our team will be able to help you. The price of £50.00 is the standard cost per square metre + VAT. 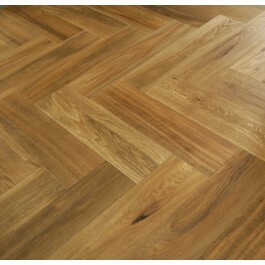 Our parquet flooring is supplied at 21mm thickness and is available in chevon, herringbone and basket weave. Boards are 65mm wideth x 450mm length as standard but any size can be produced if required. This floor is only availble in unfinished due to the way the floor is fitted, it is recommended that once the floor is fitted it is sanded level before coating.